Commemorating 40 YEARS of BLOODSHED! Washington, DC — A pro-life group has released the graphic images today of a woman who was killed in a botched legal abortion. The group says they are some of the first images ever seen publicly of a woman who was brutalized by an abortion that claimed her life. Washington, DC — The new annual report released by the national Planned Parenthood abortions business shows it did more abortions in its last year than ever before in its history. Washington, DC — The Supreme Court today decided against hearing a case that involves a lawsuit filed by stem cell researchers challenging President Barack Obama’s decision to force taxpayers to fund embryonic stem cell research. Washington, DC — A new photo of a baby reaching out of the womb and holding a doctor’s finger during a Caesarian section delivery has gone viral and is being passed around Facebook by tens of thousands of people. Matt Drudge Tweets: ABORTION KILLING 3500 BABIES EVERY DAY! Washington, DC — The founder and editor of the highly-popular Drudge Report surprised pro-life advocates on twitter this morning with a tweet condemning abortion an highlighting how thousands of babies are killed on a daily basis. Heart Surgery BEFORE BIRTH SAVES Unborn Baby’s Life!! 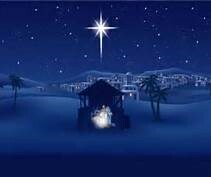 Philadelphia, PA — Here is a heartwarming story that is sure to lift your spirits this Christmas time. Washington, DC — A new study conducted by researcher James Trussell from Princeton University claims the abortion pill RU 486, mifepristone, is safe. The study also claims the Planned Parenthood abortion business is dispensing it safely to women. 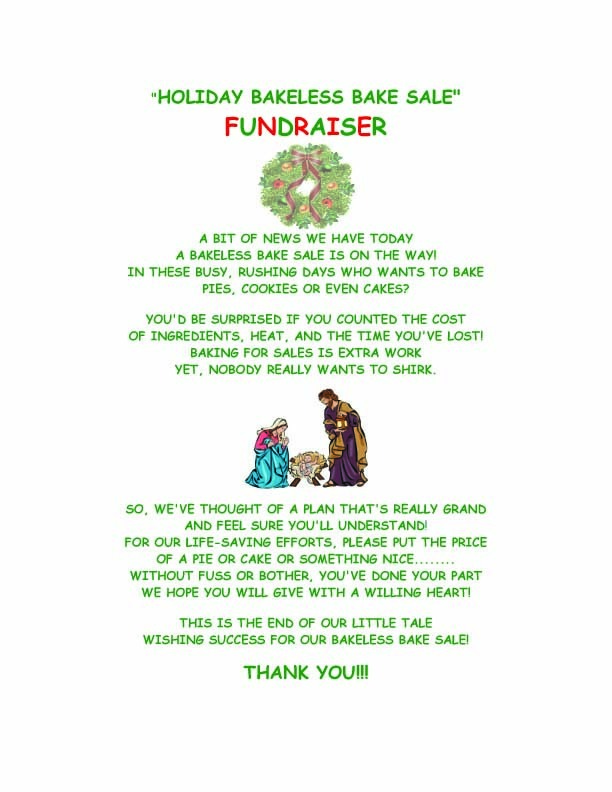 Holiday Bakeless Bake Sale. click on the image below to download the flyer. Washington, DC —THE SUPREME COURT today ordered a federal appeals court to take a new look at the controversial Obamacare law and whether it unconstitutionally forces taxpayers to fund abortions and contraception, violating religious freedoms. London, England — A British doctor has capture an amazing 4-D ultrasound photo of a baby yawning in the womb. Fetal development pictures like this help people understand exactly what is taking place in an abortion — the destruction of human life. PLANNED PARENTHOOD TRIES TO HIDE BOTCHED ABORTION INJURING WOMAN! Planned Parenthood has botched another abortion on a woman, this time in Indianapolis, Indiana. After injuring the woman, staffers at the Planned Parenthood abortion clinic attempted to hide the failed abortion from emergency dispatchers. This month is National Adoption month, and pro-lifers celebrate this loving alternative to abortion. There are several exciting ways that adoption is being promoted as an option other than abortion. Bishop Kevin Farrell of Dallas explains the special blessing that adoption is both for the child and the family. Read his thoughtshere. One focus for November is finding loving, permanent homes for the 104,000 foster children in the United States who are currently waiting to find their forever families according to National Adoption Month. And this year marks a modern twist — social media and digital efforts with the theme “National Adoption Month — Virtually: Adoption in the Digital Age.” Social media and social networking allow information to be shared easily, quickly, and effectively, and this month’s emphasis is on sharing, educating, and informing others about the opportunities for adoption. There even is a site where photos of adoptable children is featured. Heroic Media, a pro-life advocacy organization, has produced a television commercial which shares the message that adoption is a loving choice that gives a birthmother the ability to choose a family for her baby and receive support throughout her pregnancy. To see this commercial,visit their website here. ‘The Adoption Option’ ad will air on the Oxygen Network, home to “I’m Having Their Baby,” a reality-TV program that follows women experiencing unplanned pregnancies, as they go through the adoption process. The show is ranked 20th among all ad-supported cable entertainment networks in its key demographic of women 18-34, according to Nielsen. Nationally, more than half the states have provided for Choose Life license plates, which are designed to encourage women with unplanned pregnancies to consider adoption as a choice and whose proceeds go to support adoption advocating pregnancy centers. To see if your state has such a program, visit their website. Let’s all do our part to help promote adoption as the loving option to abortion not just this official Adoption Awareness Month, but all year ’round! Phoenix, AZ — The Obama administration is suing the state of Arizona and claiming that its new law revoking taxpayer funding for the Planned Parenthood abortion business runs afoul of federal laws. One full year of success: March 2011 ~ April 2012! We are pleased to announce that the AZ East Valley Pro-Life Alliance has been granted a 501 ©3, a tax exempt status and is now qualified to receive tax deductible bequests, devises, transfers or gifts! This was a monumental achievement as it was accomplished without any expenditure for legal fees! Remembering… on January 23, 2012, in memory of the 39th Anniversary of Roe v. Wade, AZ East Valley Pro-Life Alliancehosted its first concert, “Let Freedom Ring for Life”! The evening was filled with heart-warming, life-affirming testimonies, inspiring pro-life messages and beautiful renditions of life-affirming spiritual and powerful patriotic music performed by mostly East Valley talent! The spectacular performance of the AZ Patriot Color Guard with a special tribute to our Veterans and Militarymet with resounding applause! A huge thank you to all who participated, as the reviews have been outstanding! (See page 2 for program/pictures). Putting the FUN in fundraiser…In concert with the Knights of Columbus Council #7904, on February 16, 2012, the AZ East Valley Pro-Life Alliance presented the original, fun-filled and “educational” “Late Nite Catechism I” show. This fundraiser, in support of ongoing pro-life education and training, was tremendously successful! Offering…..An “Age-related Pro-Life Education & Training brochure dedicated to the home-school curriculum, church ministries and publicforums is now available from AZEVPLA. who has given us freedom to assemble! the right to a fair trial! who gave us the right to vote! VETERAN who serves under the Flag! The East Valley Action Alliance expresses our sincere gratitude to our Military, their families and to all our Veterans! This is a free informational & educational event for our pro-life community to meet and greet our pro-life candidates! Come hear about their pro-life platforms and what you can do to help in getting our pro-life candidates elected in this most critical election year of a lifetime! Please see the attached flyer for additional information and feel free to invite your family and friends to join you for this awesome evening! AZ East Valley Pro-Life Alliance, Inc.
AZ East Valley Action Alliance, Inc.
We had a great concert to remember just how much life means to each and every person. If you missed it, here is a recap so you can be sure to make it next year. Our ultimate goal is to celebrate the END of Roe v. Wade and all immoral life-ending means rather than commemorate them!